CNN launched its newest dayside news program Monday, Nov. 12, 2018, with little fanfare or announcement. Replacing Wolf Blitzer’s eponymously named hour, “Wolf,” at 1 p.m. 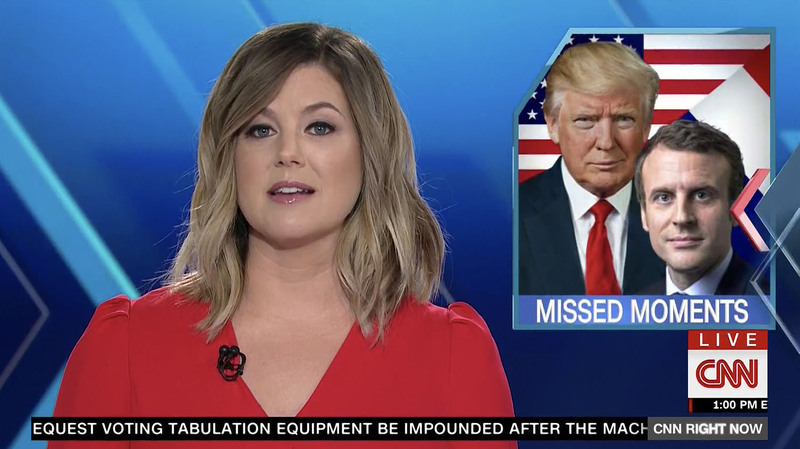 ET, “CNN Right Now with Brianna Keilar” elevates the network’s senior Washington correspondent with her own program. 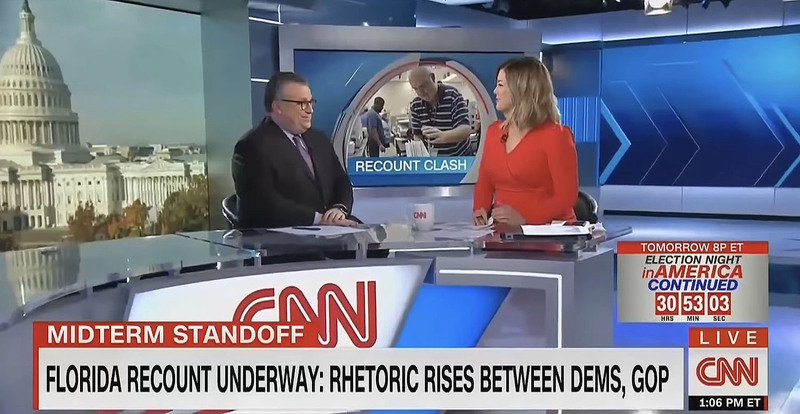 The show is presented from the network’s Washington Studio A/B, which is also used by “The Situation Room.” Displaying views of the city and show branding, the program borrows CNN’s election night desk. 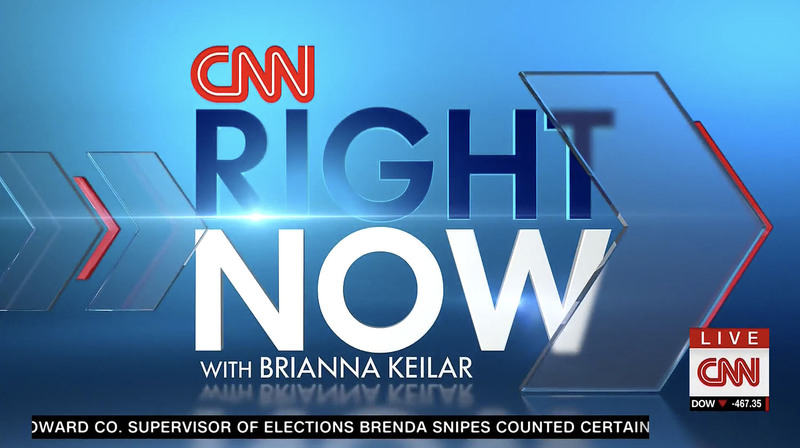 Taking cues from the current glassy design style of “CNN Newsroom,” the show’s motion graphics heavily features chevrons with blue hues. Blitzer continues to host “The Situation Room” daily for two hours with John King and Jake Tapper also presenting shows from CNN’s Washington bureau.